During the last weeks (9.11.-15.11.2018), we could use and spread MathCityMap for the first time on Mexican ground. Through its different architectures and historical influences, the country provides great ideas for MCM tasks. 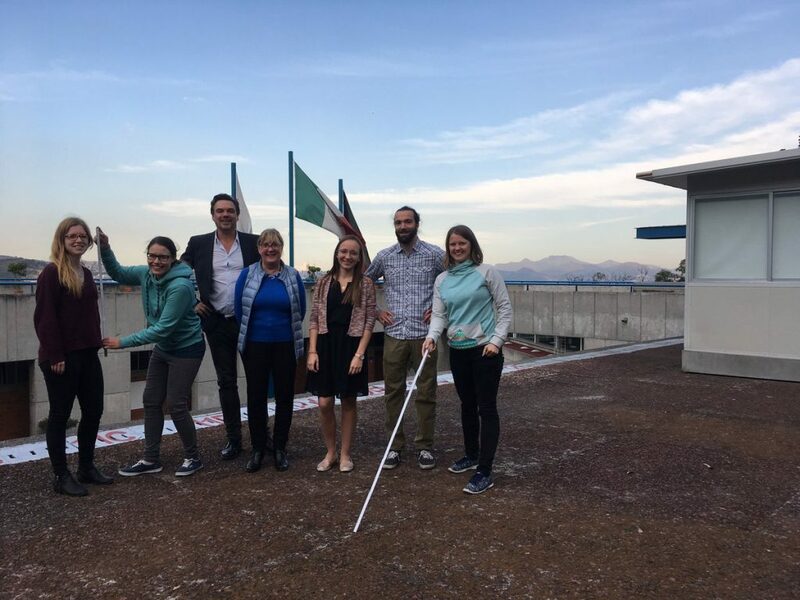 On 09.11.2018, we visited the German school in Mexico City (Campus Lomas Verde) and did a teacher training with interested teachers. On the school yard, we created tasks on slope, volume and combinatory in front of impressive mountains. It was measured, discussed and caluclated. Of course, we also created tasks directly in Mexico City, this time in Spanish. 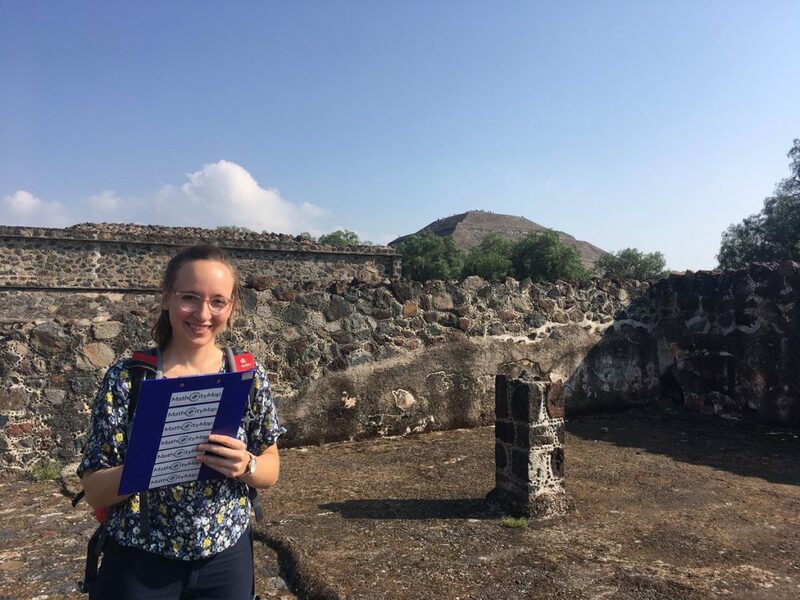 And also during a trip at the Aztecs pyramids, we gathered measuring data for our “Ruta Azteca”, which will be available in the portal soon. On 14.11. and 15.11.2018, MCM was then presented at the TEMBI V conference at University Puebla. 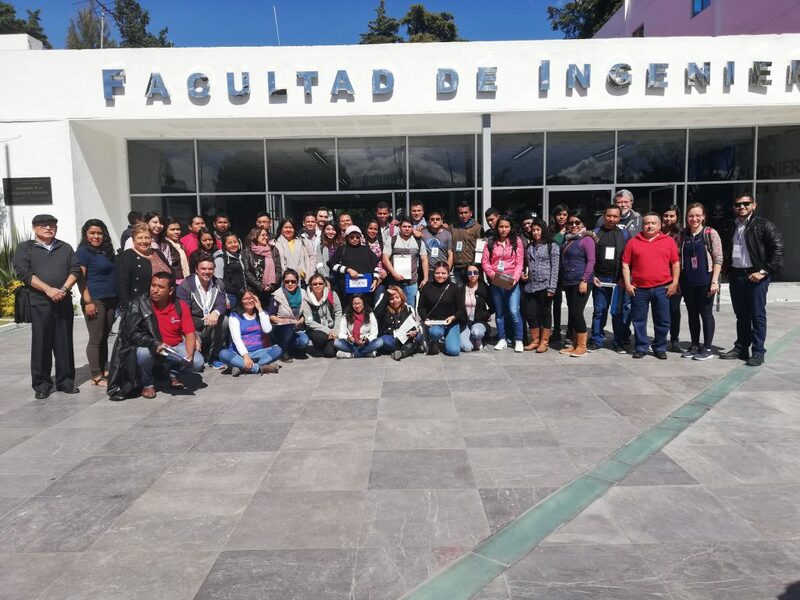 During a three session workshop with about 75 participating Mexican teachers, theoretical backgrounds were combined with practical work phases from student’s and teacher’s perspectives. The participants had a lot of fun and were motivated during the solution of the tasks. Further, they became creative while searching for own task ideas, which were then implemented in the portal. We are curious about MCM in Mexico and are happily waiting for the tareas mexicanas!